What Physical Silver Bullion to Buy? Easily stackable, often sold in sheets of 10 or 20. Very low premiums, as bars can be produced by any private mint. Widely available in a range of sizes from 1 oz to 1000 oz due to their popularity and demand. No face value or government backing. Not always IRA-approved, depending on the mint of origin. Different brands, even with the same weights, will not have the same dimensions. Still relatively low premium, but offer a collectibility factor due to limited annual runs. Feature intricate and beautiful designs – may also be offered in proof form. Easily stacked in tubes or stored in mint “monster boxes”. Carry a face value in their nation of origin, typically IRA-eligible. More expensive on a per-ounce basis than comparable silver bars or rounds. Only available in 1 oz and occasionally 5 oz weights. Occasionally go into “allocation” due to mint delays, making them hard to get. 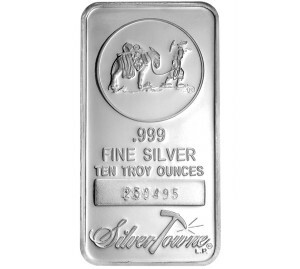 Along with silver bars, offer the lowest premiums over spot on physical silver bullion. Easily stored, as rounds ship in mint-sealed tubes of 20 pieces each. Typically IRA-eligible, depending on the mint of origin. Offer little to no collectibility or design value, as most are quite plain in appearance. Typically only widely available in 1 troy ounce weights. Extremely divisible, sometimes in pieces as small as a nickel or dime. 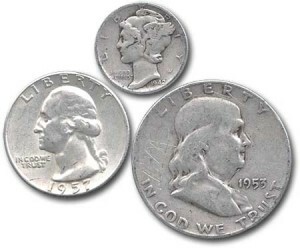 Inconspicuous, as the general public doesn’t realize these coins contain valuable silver. Can occasionally be found in circulating currency, offering investors a tremendous opportunity. Nowadays, is an extremely expensive and hard to find product in the retail markets. 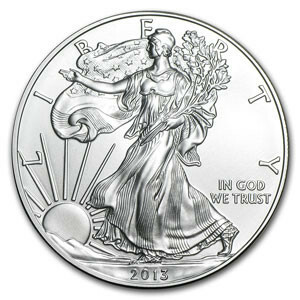 Can be harder to resell, as many prospective buyers prefer shiny new silver bullion. Besides selecting from the different types of silver bullion, you also can choose between buying brand new pieces and buying secondhand pieces. Purchasing new silver from known dealers has an appeal for the perceived value, but the weight and silver content will match any other bar produced by a private mint, regardless of appearance. If an investor is purchasing silver for its lasting value and to add diversity to their financial portfolio, whether the bar is new or old will have no consequence on their purchase. The condition of the piece, the finish, and any visible wear is of no concern. The silver is simply bought for its value. If an investor were to want to sell their silver bullion in the future, the status of new or old may affect the price they get as uneducated consumers may look at the worn bar as no longer worth its weight in silver. It’s an incorrect perception, but as long as an older or secondhand silver is authentic and has proper identifying marks, there is no reduction in its value. 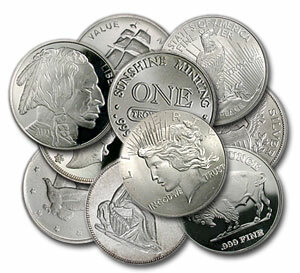 Unfortunately, some consumers will look at a shiny, new silver and choose it over a dull, worn silver. They will even pay more for the shiny piece. If an investor doesn’t have a personal preference, new bars or secondhand bars are equally good investments.